When I look back at my career in test automation, there are three distinct periods, or “waves” that come to mind. The first wave is filled with some good old-fashioned vendor tools like WinRunner, Silk Test, and QTP. In my eyes, these solutions started it all and set the stage for future testing automation innovations like Selenium. Selenium began the second wave of test automation, focusing more on developers and programming best practices when creating automated tests. But truth be told–in the quiet times when they think no one is listening–you can hear testers whispering the same curses they did about vendor tools: flaky tests and maintenance driving them crazy. Here are just a few of the “third wave” automation tools I’ve seen in the market. One of the main features of this software is that many of them are leveraging machine learning and AI-assisted technology. To learn more about these solutions, be sure to check out the Automation Guild 2018 online conference, where many experts from these vendors will be joining us for an epic event of automation awesomeness. Applitools was one of the first tools in the third wave that I got my hands on, and it made me start believing that a new way of testing was possible. When I first heard about visual validation testing, which uses a sophisticated algorithm to out potential bugs in your application without you explicitly calling out all the elements, I thought it must be B.S. After speaking with founder Adam Carmi, however, and checking out Applitools for myself, I became a believer. I discovered there really are no visual processing settings, percentages or configurations that need to be set up to create visual testing with Applitools. The algorithm is entirely adaptive, and I can only imagine where they’ll take the technology as AI and machine learning advances even further. I recently saw an Applitools demo, and on their roadmap were some cool features they plan on adding on top of their existing machine-learning technology. A lot of these things are too early to see in action, but looking at the roadmap will give you a sense of how much AI is now being incorporated into test tool company’s roadmaps. Of course, Sauce Labs were one of the first players in the cloud-based test automation space, but with all the data they currently have access to they’re in a great position to leverage machine learning and come up with some cool insights. That was one of the points that came up during the 2017 SauceCon conference. During the keynote, CEO Charles Ramsey displayed a slide that showed how we’ve gone from mainframe all the way to iOT, as well as things like artificial intelligence, machine learning, and deep learning. It’s obvious that Charles believes the use of known pattern matching and different AI technologies can be powerful within testing. 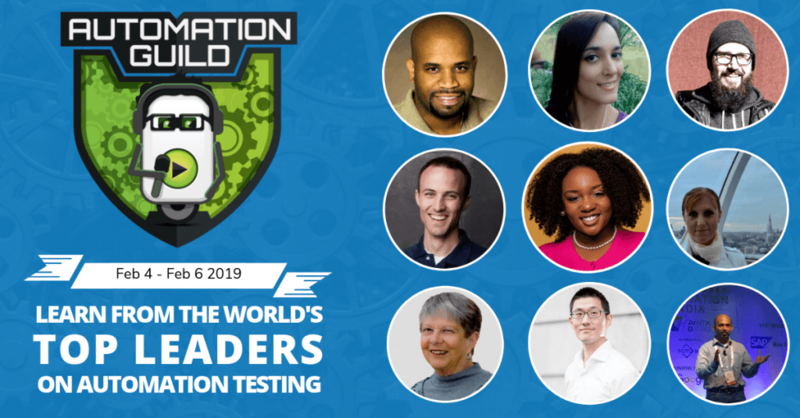 Which got me thinking — with Sauce Labs running over a million and a half tests a day, they have a virtual treasure trove of data that can be used to help their customers become better testers. I definitely foresee Sauce adding more intelligence into their analytics that will proactively help customers improve their test automation. Testim tries to leverage machine learning to speed up the authoring, execution and most importantly the maintenance of automated tests. Their goal is to help you to start trusting your tests. Oren Rubin, co-founder of Testim, mentioned in a recent TestTalks interview that the firm’s main goal is to help liberate test automation from the exclusive realm of developers and make it simple enough for anyone on the team to create. After speaking with Oren I got a sense that Testim is well on its way to achieving that goal. Sealights is a Cloud-based platform. We all know that developers and QA–both managers and engineers–are super busy these days using CI and CD practices, where they have frequent releases and not enough time to test the entire application multiple times. That’s one of the main reasons Sealights was created. With their machine learning-like technology that analyzes both your code and the tests that run against it, it lets you know exactly what your tests are covering and what they’re not. But when Sealights says “tests,” they don’t only mean unit tests; they mean any kind of test, from functional, manual, performance, you name it. “Quality Risks” is even a more exciting insight they provide, as it focuses the user’s efforts on the things that matter, by letting him or her know exactly which files/methods/lines have changed in the last build that wasn’t tested by a specific test type (or any test type). Once you know that, you can easily ensure that untested code will not reach production before undergoing, at the very least, a minimal validation. As we move toward CI/CD, dashboarding becomes critical. If you’re like most companies, everything today is within your CI/CD, but often this data is not visible or accessible for consumption by your teams. Sealights makes it easy to create a quality dashboard that everyone will see. So for every build, you’ll be able to understand what was tested, what the status and coverage were, and whether it’s improving, decreasing, or has quality holes or not. Test.AI is billed as a tool that will add an AI brain to Selenium and Appium. It was created by Jason Arbon, co-author of How Google Tests Software and the founder of appdiff. Tests are defined in a simple format similar to the BDD syntax of Cucumber, so it requires no code and no need to mess with element identifiers. It’s smart enough to know that if an element ever changes it can adjust and identify it with you having to make any manual changes. This tool is still in beta, but I was given a sneak peek of it by Jason. I’m excited to learn more about it, as well as the potential of all these test tools. Mabl is similar to Test.AI. Mabl started by a bunch of ex-Google employess runs functional tests against your apps or website. In Mabl terminology, you “train” your tests to interact with your applications. When you’re done recording, your trained tests will run at a predetermined amount of time and alert you. Eliminates flaky tests–like the other AI-based test automation tools, Mabl can automatically detect whether elements of your application have changed, and dynamically updates the tests to compensate for those changes. Mabl can continuously compare test results to test history to quickly detect changes and regressions, resulting in more stable releases. Mabl helps identify and surface problems quickly, alerting you to possible impacts before they impact your customers. Use an artificially intelligent monkey to fully automatically test your application. That’s how ReTest markets itself. ReTest claims to be different from other test automation tools because it was built specifically with testers in mind. It also stems from an artificial intelligence research project, so it tries to bake that AI intelligence into their tool, effectively eliminating the need for their users to possess any programming skills. They, like some of the other tools on this list, also avoid having to select element IDs to work with when creating a script. ReTest also automatically takes care of wait times. If you want to try out ReTest, they offer an excellent step-by-step demo post. Looking for an easy-to-install-and-use dashboard? Need to triage your automation test results as well as create awesome graphs? Even better, what if it were free? Well, I’ve got something you should check out if you’ve been looking for an automation test results dashboard solution: ReportPortal.io. ReportPortal just came our with a machine-learning algorithm to help you to analyze your results automatically. The machine learning algorithms use all the historical data that is already in the dashboard database for your project. That means it can analyze your latest execution, and you can be confident about the status of your test cases. I think the ability to analyze large amounts of data is the perfect use of machine learning and see this type of approach really growing in the next few years. So is AI/Machine Learning Just Hype? Clearly, AI/Machine Learning is the latest buzz word currently being used in the testing industry. But is it real, or just hype? Only time will tell if the third wave will finally fulfill the promise of reliable, easy-to-maintain test automation for all. Let me know what your experience has been with these or any other tools you consider to be part of the third wave of AI test automation. What About Non-AI Automation Testing Tools? How to Stay Up To Speed with the Latest in Automation Testing? 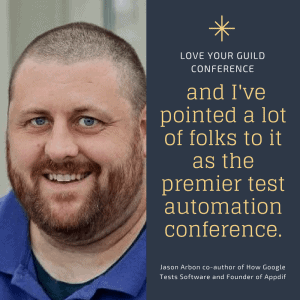 If you feel overwhelmed with staying up to date with all the latest automation testing tools and best practices check out my annual online conference dedicated 100% to just automation testing — Automation Guild. This is a really great article, but you did leave out some important players. Thanks Hans! I left them out because I didn’t know about them :) Thanks for pointing them out! Awesome compilation of really excellent tools Joe. Super excited to learn more about them. I’ve heard about Sealights from one of your interviews and it seems like an excellent tool. The AI tools look really promising as well. Interesting article! I hope you will continue to have similar posts to share with everyone! I believe a lot of people will be surprised to read this article! Thank you, Joe Colantonio! How about Eggplant, Joe? Any comments on that, they seem to have a strong implementation of AI with their customer base. Hi Bogdan – I haven’t used Eggplant so that is why I did not include it. How reliable do you think these Artificial Intelligence testing tools will be? I ask, because it seems like teams have enough trouble just using tools like UFT, Selenium, TestComplete, RestAssured or whatever the tool is. I see a lot of teams struggle learning how to use those correctly and write Valuable tests and not just some junk. Plus, those tools can be unreliable at times. Our company is already talking about AI tools and we still struggle with the above. I feel like we should master our current toolset before trying to go into something like AI. I work in Architecture for Automation and the people who use our frameworks can’t barely use that. Just my thoughts. I would like to hear others. I am however excited about the AI tools. This really great Article and help us to find to understand whre we are going in automation world. I have a post-degree in Big Data Analytics and I am currently working as QA manager with UFT and ALM for automation. We are continuously struggling with the data and applications process logic. Sincerely, I can’t see nowadays how IA can help me in my ongoing operations having into account the problems I mentioned. besides, I don’t see these tools in the gartner magic quadrant, I wonder why. I my opinion the I.A is overestimated for these type of tasks, unless yu use it in a very basic application.